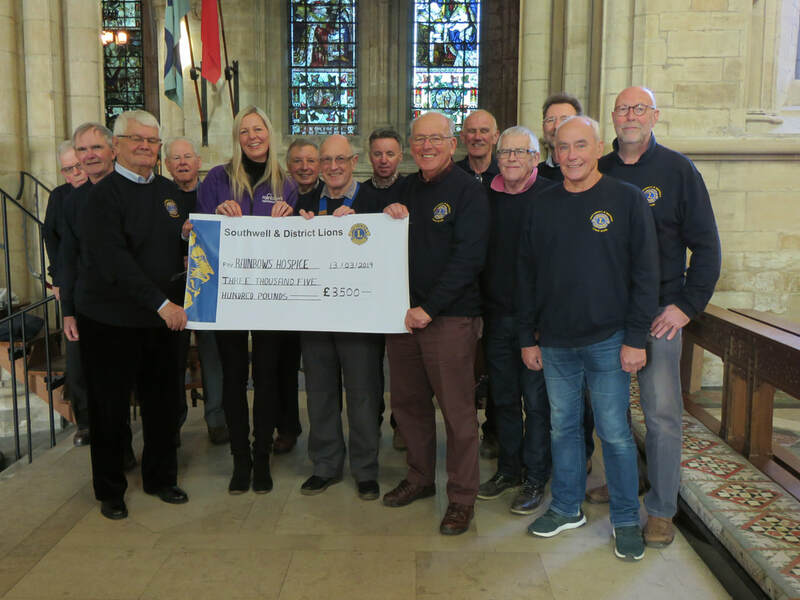 Rainbows Hospice being presented with the proceeds from the Carols for Everyone concert on 13 March 2019 surrounded by members of our club. 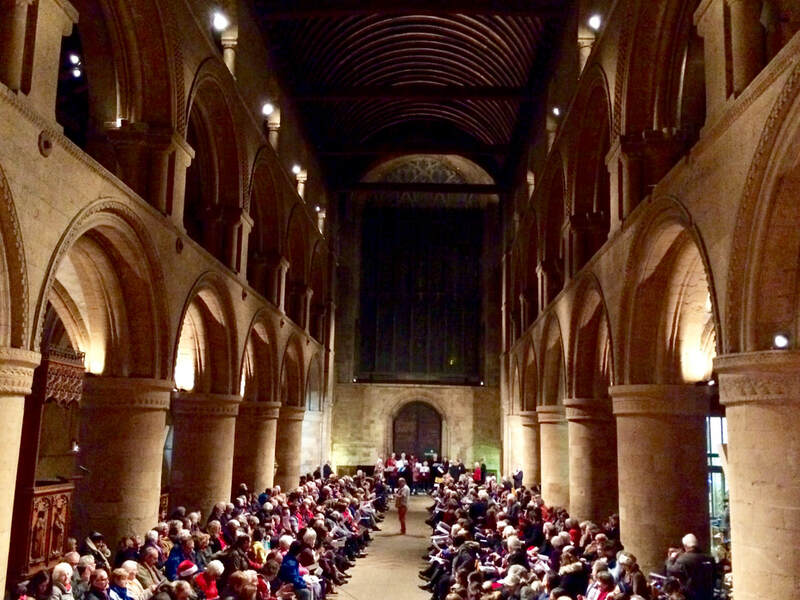 The Major Oak Chorus, above, performed splendidly at the Carols for Everyone concert on 15th December. 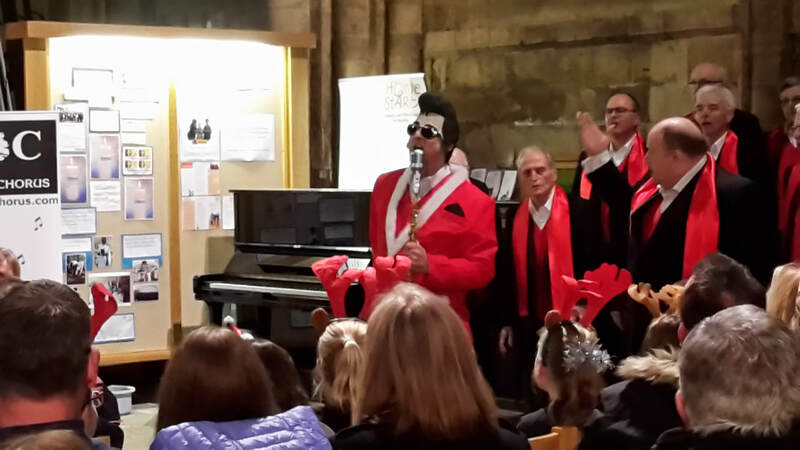 They even brought on 'Elvis'. Hopefully we might have a photo of him to show later as well as the children from Bleasby School who sang their hearts out and provided us with wonderful entertainment. A great night out! ...and here is the man himself! Elvis & his backing group! 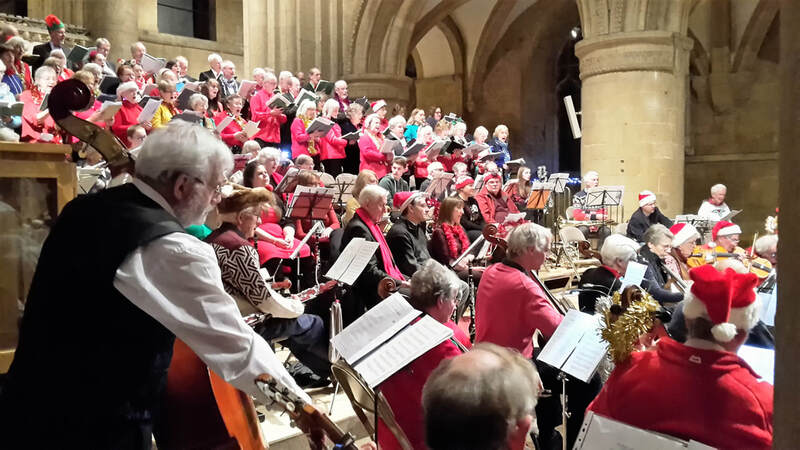 The Choral and Orchestral Society's giving a marvellous performance and without whom we could not put on this event. 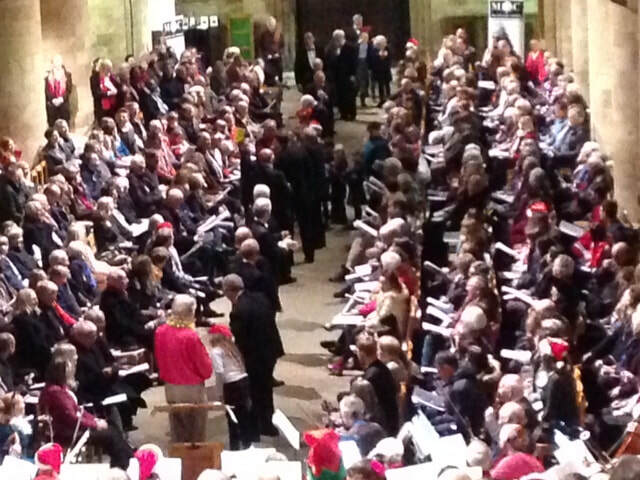 A great view from the Choral Society end! 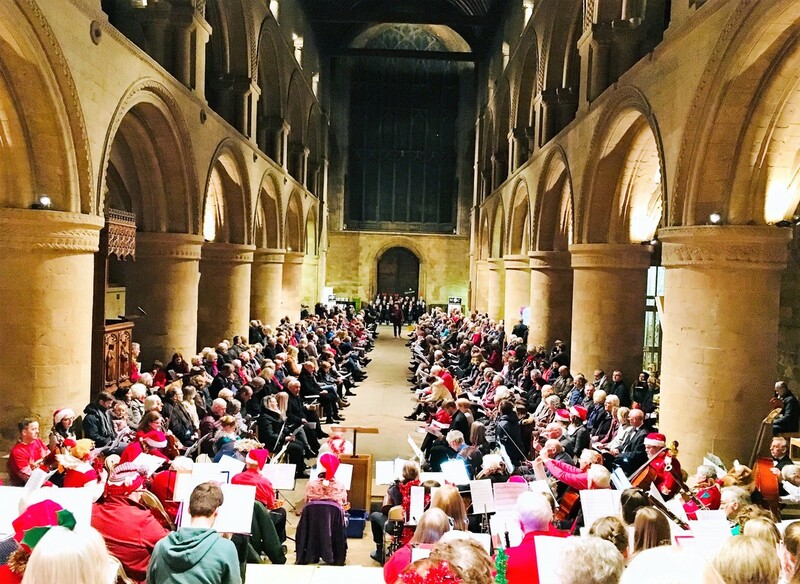 'Carols for Everyone' is an event organised and run by Southwell Lions as part of Southwell Minster's Christmas programme, in conjunction with Southwell Orchestral Society and Southwell Choral Society. 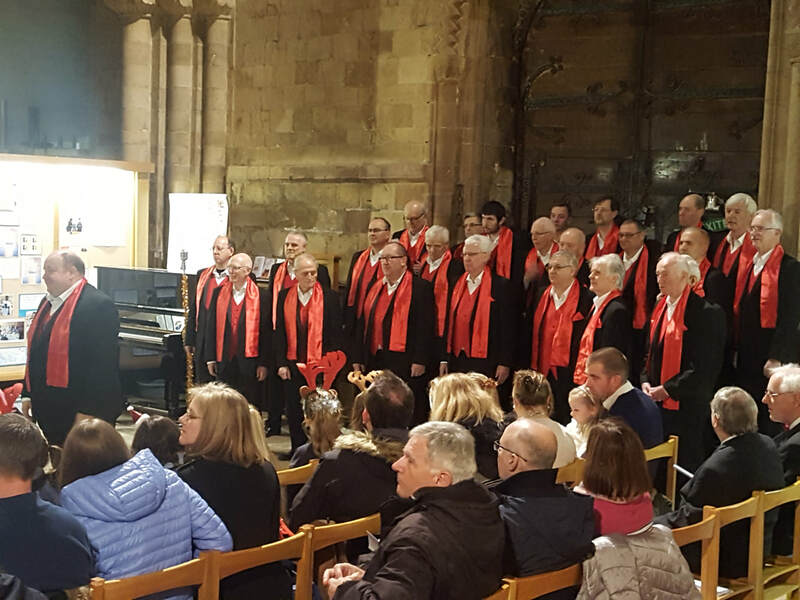 If you have never been to this annual concert before we would like to emphasise that 'Carols for Everyone' is an event where everyone who comes along can take part in singing their favourite carols. 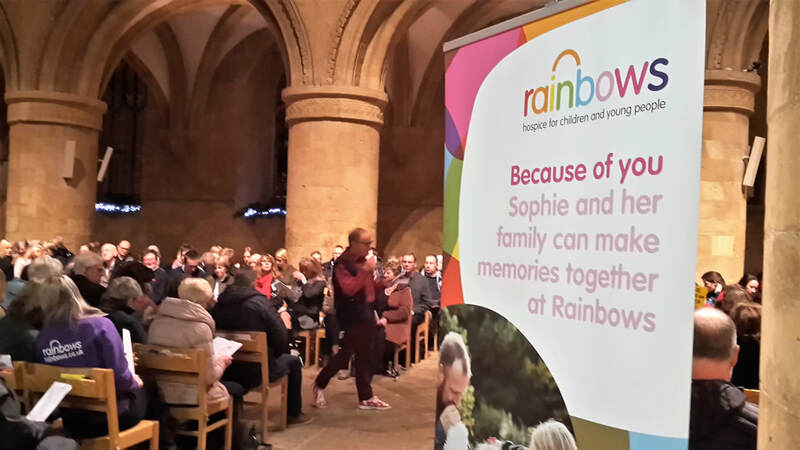 ​Click on their logo to find out more about their work.